Amanda Calpini has over twenty six years of dance training in ballet, jazz, lyrical, hip hop, jumps/turns technique and tap. As a member of a competitive dance team since age six, Amanda has received numerous national and international awards throughout her dance career. She holds a Bachelor of Arts from Monmouth University, where she also attained a position on their award winning dance team. Amanda danced in choreographed routines that received top honors from the UDA and NDA at the collegiate level. During this time, she was trained and coached by former NBA Knicks and Nets Dancers as well as many professionals in the industry. For the past few years, Amanda has been training at Broadway Dance Center in New York City, focusing on new dance styles and contemporary techniques. She specifically studies contemporary, jazz, street jazz funk, and jumps and turns technique under the instruction of Q, Jeremy Miller, Heather Rigg, Ellenore Scott, as well as many others. Amanda has been teaching dance for over 15 years, specializing in jazz, hip hop, and lyrical. She is a former dance studio Competition Director as well as a middle school dance team coach for multiple schools in the area. Her competitive routines have won many top scoring awards including choreography awards, overall high score placement, judges awards, and specialty prizes. Amanda received her Master of Arts in Teaching in 2010, becoming NJ certified to teach students Pre-K through grade 12. She worked in multiple school districts throughout the area for five years before leaving the field to pursue her dream of opening her own dance studio. Amanda is truly passionate about the dance business. She strives to offer the highest quality dance program in the area as well as offer an award winning Competition ensemble. Amanda is enthusiastic and proud to be the studio director of East Coast Dance Company. Her goal is to not only educate, train, and inspire her dancers, but to meet the needs of every parent and child that comes through the door! Danielle has received dance training since the age of three years old. She has studied at competition dance studios as well as The American Repertory Ballet School for further ballet training. Some of her dance education includes Jazz, Tap, Ballet, Hip-Hop, Lyrical, Pointe and Modern dance. Additional education comes from the East Brunswick School of Performing Arts High School where she broadened her dance knowledge through training in Aerial work, African dance in addition to extensive disciplined classes in Ballet and Modern. Throughout her studios she has trained with a variety of choreographers ranging from Randy James, Stefanie Batten Bland, Roxanne Lyst, Sherry Alban, Kimani Fowlin, Stuart Loungway and Kathleen Flynn Gavin to name a few. Danielle received her Bachelor of Fine Arts Degree from Mason Gross School of the Arts at Rutgers University in the spring of 2013. While at Mason Gross many choreographic opportunities were provided to work with both her peers and professionals in the dance world. Many of her additional studies included Dance for Children, Laban, Alexander Technique and Kinesiology for dancers. These studies have allowed Danielle to incorporate an extensive knowledge of connection between the body and mind in the dance classroom setting. Her goal is to teach dancers to be the best that they can be without any self-criticism. She is extremely excited to be a part of the staff at East Coast Dance Company and looks forward sculpting the young dancers of our generation. AJ teaches classes in a range of genres including ballet, modern, contemporary, jazz, acrobatics and contortion, and has taught at studios all over New Jersey as well as in New York, Connecticut and Pennsylvania. AJ is known for his warm and energetic teaching style, visually stimulating choreography, and anatomically precise technique. He takes his knowledge and experience in the healing arts, from being a Reiki Master and massage therapist, and dance to create classes that help dancers bring finesse to their technique, a confident voice to their inner creative spirit, and self-awareness to their physical, emotional, and mental facilities. He received his BFA in Dance from Montclair State University, and also has extensive experience in many styles of yoga, along with Pilates and contortion. "The art of teaching is the art of assisting discovery." Katie has been dancing since the age of three. She received her early training from several studios in Monmouth and Ocean County, where she trained in Tap, Jazz, Ballet, Lyrical, Modern, Hip Hop, and danced competitively. Katie is a graduate from DeSales University in Center Valley, Pennsylvania and holds a BA in Dance. While attending DeSales, she studied Dance Technique, Teaching Methods in Dance, Dance Composition, Improvisation, Dance History, and Kinesiology. She trained with professional artists such as Trinette Singleton, Tara Madsen-Robbins, Tim Cowart, and Angela Sigley Grossman, and also performed works choreographed by guest artists such as Camille Armstrong, Jeff Shade, and Gregory Dolbashian. She performed and participated at the American College Dance Association at Ohio University and Hofstra University. Katie has interned with major tap festivals such as Jersey Tap Fest and Tap City, and has performed reparatory works under the direction of Jason Samuels Smith and Germaine Goodson. Currently, she is a member of Anthony LoCascio’s #Taplife Company and works as the Assistant Company Manager for the group. Katie loves being a part of East Coast Dance Company! ​Felicia’s love for dance began when she was 5 years old, as she began taking classes at a studio near home in Matawan, NJ. Dancing quickly became less of a hobby and more of a lifestyle of endless, colorful possibilities for Felicia. During her early training she branched out and took classes in the styles of ballet, contemporary, jazz, hip hop, and modern at a handful of studios around Monmouth County. Felicia passionately went on to receive her BFA in Dance at Montclair State University where she worked diligently under the instruction of Nancy Lushington, Lonne Morreton, Lynne Grossman, Frederick Earl Mosley, Tyler Gilstrap, and Lori Katterhenry. After graduating, Felicia began dancing with the company 4JUNE, and can be seen in music videos for Lumidee, Chris Porter, and Jay Lavita. Felicia feels privileged to instruct young dancers today, and she is happy to join the staff at East Coast Dance Company. She approaches all of her classes with an open heart and a smile, and her passion for dancing grows as she sees young dancers light up from what this art form has shown them. Felicia goal is for her students to simply be who they are as they walk into the dance classroom, and to become even more of who they are before they walk out. Laurie Curtis started her classical ballet training at the age of eight and studied at the School of American Ballet, the Jeoffrey Ballet and the School of the Pennsylvania Ballet. She performed with both The Pennsylvania Ballet Company and The New Jersey Ballet Company. Laurie has danced various roles in the Nutcracker, Swan Lake, Sleeping Beauty, Giselle and Romeo & Juliet as well as opera productions of La Gioconda and Orpheus in the Underworld and many original ballet works. She was Artistic Director and Choreographer for the Monmouth Civic Ballet Company. As director, she created an original children's ballet, "Forest Fantasy" for the Kean College Children's Arts Program and re-staged the original ballet productions of "Peter and the Wolf" and "Dance of the Hours". Laurie has twenty years experience as a teacher and choreographer and many of her former students have gone on to become professional dancers, dance majors in college and teachers. 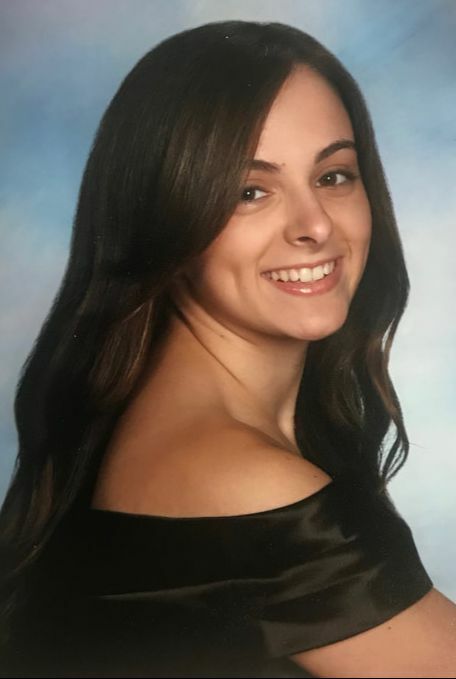 Cassandra began her dance training as a young girl at Denise Daniele Dance Studio in Brick, NJ and continued her training through high school at The Performing Arts Academy. After many years of being a competitive dancer, she knew dance was her passion and that she would pursue it as a career. Cassandra went on to study dance in college at Georgian Court University where she trained in mostly ballet, modern and jazz. While there, she was also able to study dance history, Laban notation, improvisation and choreography. Cassandra went on to earn a Bachelor of the Arts degree in Dance Performance. Throughout the last few years, Cassandra has been involved in many different performances as well as choreography opportunities. Upon graduating, Cassandra became a member of the New York Jets Flight Crew. During her time on the Flight Crew, she had the opportunity to be a part of the Show Team Select Group, giving her many performance opportunities such as Good Morning America, NFL Network, and the NFL Cheer Director Conference, among many others. Cassandra was also a dancer in Al Blackstone's "Brown Eyed Girl", winner of the Capezio ACE Awards. She performed at Philly PARD with many well known choreographers in Philadelphia. For three consecutive years, Cassandra attended ACDFA where she presented her own work "Common Solitude" and performed "Regions of Light", choreographed by Caitlin Quinn Pittenger in the Regional Gala. 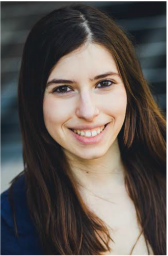 Cassandra continues to educate herself by taking master classes and workshops regularly throughout the tri-state area, regularly training at Broadway Dance Center and STEPS in New York City. For the last few years, Cassandra's passion for dance has led her to educate children of all ages. She continues to teach and choreograph for both competitive and recreational dancers, sharing her love and knowledge of the arts. Cassandra is so excited to share her passion and begin this journey! Skyler began dancing at Denise Danielle Dance Studio in Brick, NJ when she was just 2 years old. Growing up, Skyler performed with her competitive team where she traveled to numerous cities such as New York and Philadelphia while competing in all styles of dance. After graduating high school as a dance major from the Performing Arts Academy, she earned a Bachelor of the Arts degree at Georgian Court University. During her junior year at GCU, Skyler was chosen alongside ten other students of Georgian Court's dance department to study and perform in Buenos Aires, Argentina. During her time at Georgian Court, Skyler studied all areas of dance including ballet, modern, jazz, dance history, dance essentials and wellness, improvisation and choreography. As Skyler earned her degree, she was awarded the "First Award In Choreography." ​Not only is Skyler passionate about studying dance, she loves to perform as well. In recent years, she has appeared in performances such as The Choreographer's Canvas in NYC, Philadelphia's Performance Arts Research & Development, The American College Dance Festival's Regional Gala and on NBC's America's Got Talent. She has worked with industry choreographers from Houston Metropolitan Dance Company, Complexions Contemporary Ballet, Parsons Dance Company and the Korean National Ballet. Skyler is so excited to begin this journey and share her passion for dance!